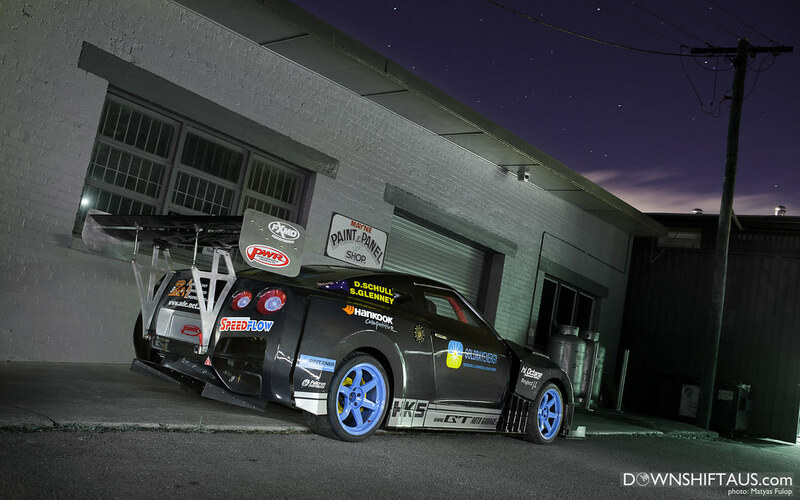 It’s hard not to draw comparisons between GT Auto Garage‘s R35 GT-R, and the Mercury Motorsport-built R35 GT-R. 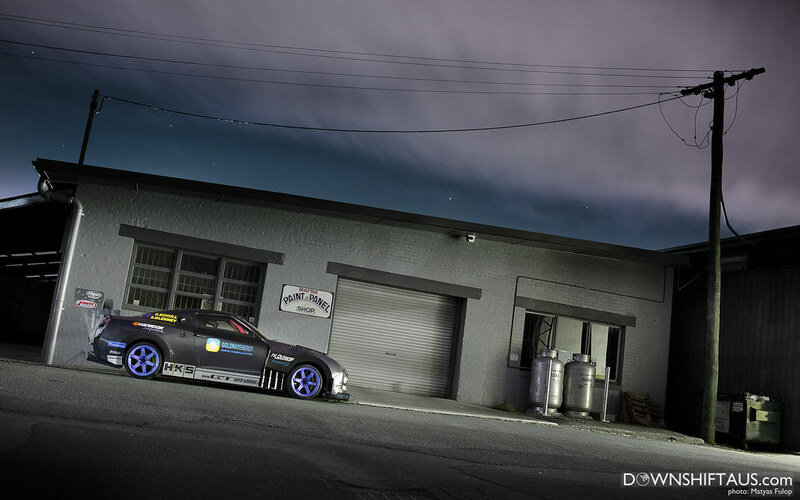 Both cars are from Queensland; both built for time attack; both are gunmetal grey, one in all carbon, the other mostly painted carbon; both are sporting ridiculous aero. Both the shops are in Newmarket/Windsor, literally about 50m apart, just fronting different streets. 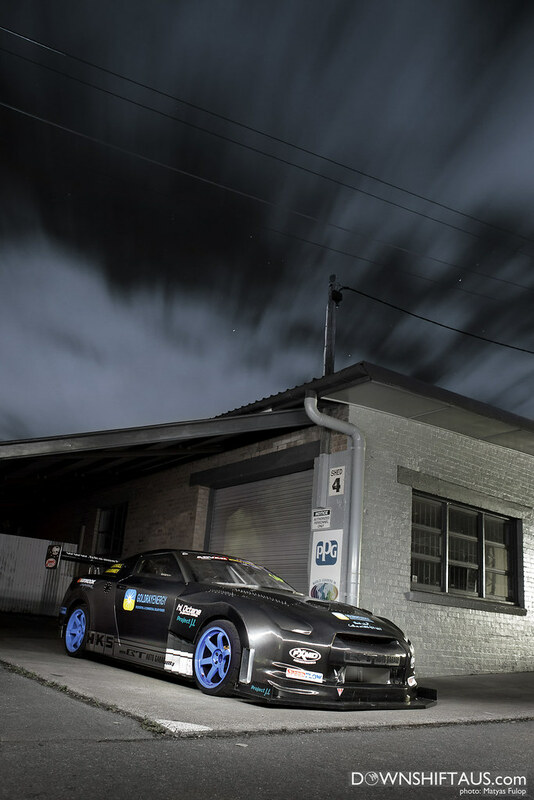 Both the cars also competed in the recent 2011 World Time Attack Championship, held at Eastern Creek in Sydney, with the best laps being only a second apart! But this is where the story starts to differ somewhat. I can just imaging seeing that in my rearview. While the source of power at MM is the AMS Alpha 10 motor and turbo kit, GT Auto has gone a different direction. And made close to 1000hp at 26psi. Being one of very few official dealers for HKS in country, may have been the reason why the GT Auto car is running a LOT of HKS gear. 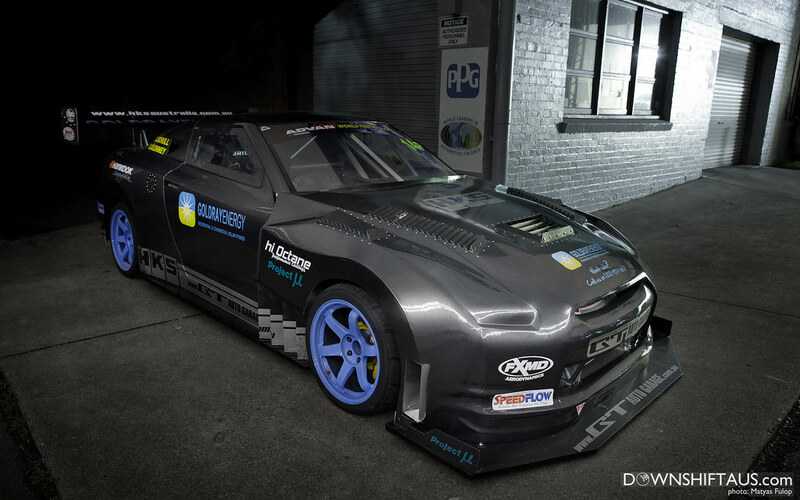 The setup includes a 652-point cage, lexan windows, custom tube front end, and a full-carbon widebody. Check out the build pics here. 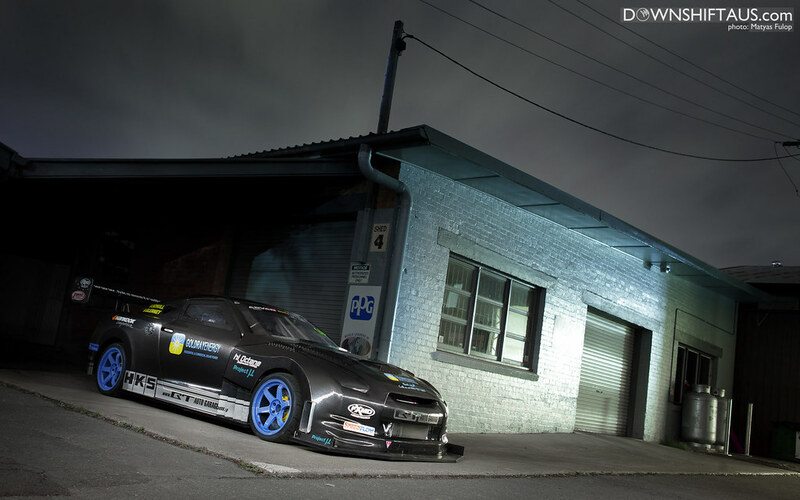 The effectiveness of the setup has been proven, and driver Steve Glenney has come an overall 9th at the 2011 WTAC with a best time of 1:32.413. 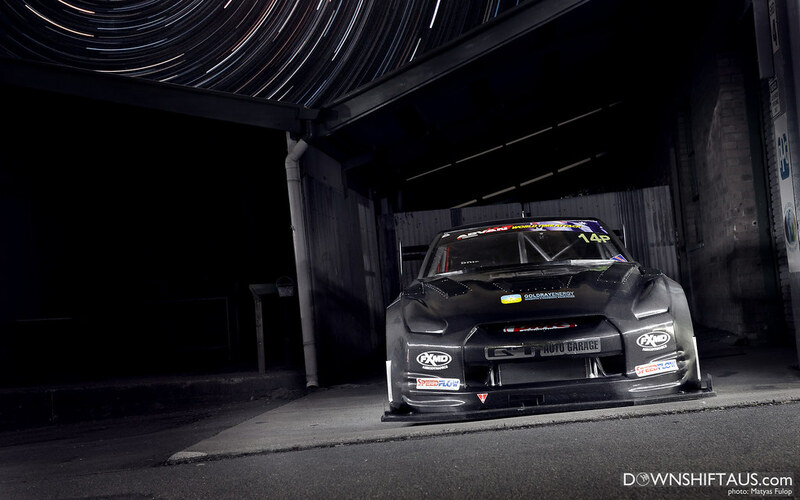 To put that into perspective, that’s only a couple of seconds off the world’s fastest time attack car, the Sun Cyber Evo. Can’t wait to see it out on the track more!